The Pegboard Nerds are going on a spring 2016 North American tour! 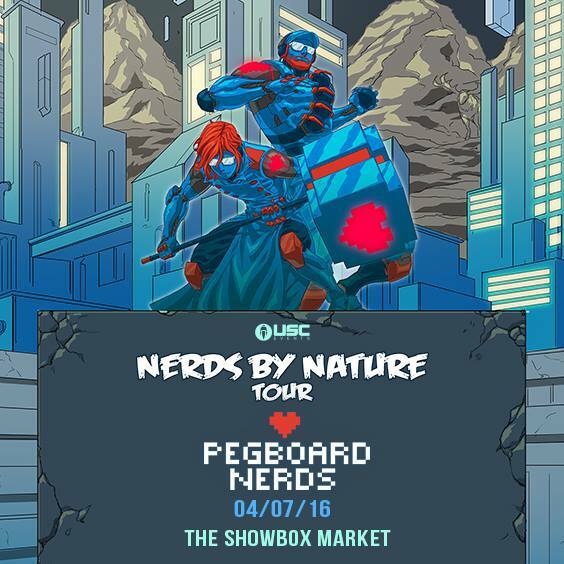 USC Events presents Pegboard Nerds, the Nerds By Nature Tour at the Showbox Market on Thursday, April 7th! A combination of bass-heavy tunes and visuals comprised of bright anime/kinetic video games are just some of the key components that define the electronic duo, Pegboard Nerds. With genre-defying productions and visually aesthetic backdrops, the Pegboard Nerds have imprinted themselves in the electronic music scene as a duo known for their vivid and animated shows. Play the Nerds F Cancer game, available on Apple App Store and Google Play.